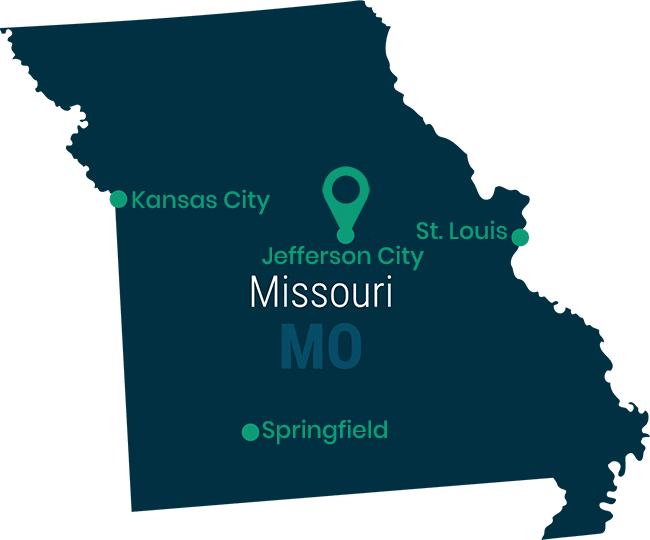 If you plan to seek employment as an accountant in Missouri, you may be eligible to start on the path toward CPA licensure. Here are the steps you’ll need to take to become a certified public accountant in the Show-Me state. Before you can sit for the CPA exam, you’ll need to make sure you’ve first completed the education requirements set by the Missouri State Board of Accountancy. Community college, online, correspondence, and CPA review courses are all acceptable in completing these requirements, as long as all submitted credits come from an accredited college or university. After you’re finished with your education requirements, you can submit an application to sit for the Uniform CPA Exam. Register online or download an application form at the CPA Examination Services (CPAES) website. Wait for your Notice to Schedule (NTS) to arrive by mail, email, or fax. You will be able to choose your preferred delivery method when you register. Arrive at your selected testing facility, on time and prepared to take your exam. Wait to receive your exam scores in the mail. Results are generally sent out within two to three weeks. CPA candidates are required by the state of Missouri to complete at least one year of accounting experience before they are eligible for full licensure. Before you start working as an accountant, you must take the American Institute of Certified Public Accountants (AICPA)’s Home Study Course on Professional Ethics. Materials to complete the class can be ordered online. If your position requires you to sign reports or supervise attest services, you must spend an additional 2000 hours working in attest services prior to obtaining your CPA license. This must take place in a public accounting practice, or by working as a government arbitrator. When you’ve completed your required time, ask your supervisor (officially known as the Endorser) to fill out the Experience section of the Application for Initial License to Practice Public Accounting. They’ll also need to complete the Endorser-Experience Addendum, which must be signed in the presence of a Notary Public. Submit all required documents with your application to Missouri State Board of Accountancy, 3605 Missouri Blvd., P.O. Box 613, Jefferson City, MO 65102-0613. Once you’ve completed all of the following requirements, you’ll be eligible to obtain your Missouri CPA licensure. Upon completion, submit your application to Missouri State Board of Accountancy, 3605 Missouri Blvd., P.O. Box 613, Jefferson City, MO 65102-0613. Missouri requires all licensed CPAs to satisfy continued professional education (CPE) requirements in order to stay in good standing with the Board. CPAs working as government auditors must complete 80 CPE hours in attest and/or auditing courses, 24 of which must be applicable to government. Be sure to maintain documentation of all CPE hours for at least five years after completion, including course/content description, name of CPE sponsor, location of credit program, and total hours logged. You may find it helpful to become a member of local accounting organizations, especially when it comes to staying on top of new rules and regulations. The American Institute of CPAs (AICPA) is a valuable group to join, as well as the Missouri Society of Certified Public Accountants.